The issue of oil exploration in the south is boiling over, but there is another hot-button matter which is the communities in the south are facing. As we reported on Tuesday, the District Association of Village Councils convened a meeting in Big Falls over the weekend which saw the participation of chairpersons from across Toledo. It has been widely speculated that functionaries of the government are being sent to the meetings to create a rift within the various communities where it concerns the issue of communal rights. 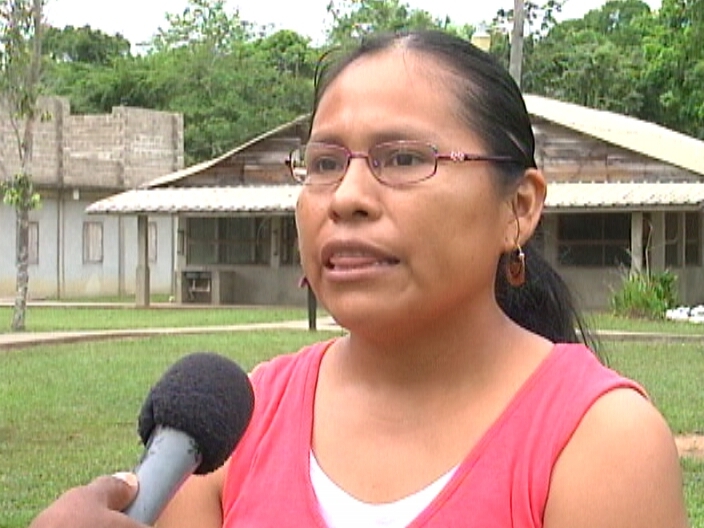 The Maya Leaders Alliance was present at that meeting and according to spokesperson, Cristina Coc; the questions being asked are not in line with what the real issues are. Residents of the various communities within the Toledo District, following the DAVCO meeting, are reportedly being asked to respond to a survey as to whether or not they are in support of oil exploration. Classic, divide and conquer. That’s how these big money people operate when they want something you have. They can careless about what they destroys. And as long as the UDP’s pockets a grease they are fine. Irony is that that was what they based their campaign on, Ralph and Musa and they are 20 times worst than Ralph and Musa ever was. let us support the oil.. there is no division, in my opinion , i strongly believe, finally the maya people are waking up , smelling the coffee, what MLA does is scam puting a shield blinding the maya people, they are in it for the pie, not a piece for the whole pie, if you listen to how they speak . They i mean ( christina and greg) are just in it to uplift thier personal lives. not the people, they using the maya people to move along forthemselves…………. what the people needs is jobs, to uplift themselves, and betteroff, what the oil company is doing is opening the oppurtunity.. ina speciefied area, in turns, bettering off the community, and the district …………. Go Christina, you can clearly see the deception!!! Cudos to you!! The English “Modus Operandus ” continues to be successful, divide and conquer. Many of these elder Mayan and Mestizo folks still don’t even speak English, nor understand it properly. They’re probably been misguided on both sides. No one has even started to talk about the possible environmental and health impact. What if there’s an oil spill? Who preserves the remains of what’s left of our Mayan artifacts and ruins? We already have left them to deteriorate. Many kids 20-22 and younger can’t even tell the name of these ruins and what part of the country they are located. We are losing our culture and our identity.